Receive a FREE copy of Creators as a thank you gift when you sign up for my newsletter. Surviving her apprenticeship was just the first step. Now that Dara has joined the Free Thinkers, her life is about to become much more dangerous. Frustrated by her seemingly pointless efforts to prove her worth to the Free Thinkers, she wonders if she made the right choice. Yet she can’t go back to her old life, can’t forgive Magnum for what it did to her mother. Then she discovers a crucial piece of intelligence: Andersen has been hard at work on a clandestine project that’s caught the attention of the Creators. At last Dara is made a Free Thinker operative, trained and taught the truth about the Great Famine and its aftermath, but she must conceal her knowledge at all cost. Andersen must believe she’s no more than the sacrificial lamb he thinks she is. But as the Creators’ interest in the project deepens, Dara is placed under surveillance and cut off from her Free Thinker lifeline. When she makes one last, desperate attempt at exposing his secret project, the repercussions are enormous. When the Great Famine brought the world to the brink of an apocalypse, threatening mankind's existence, the Creators saved humanity. Humanity has been their loyal subject ever since. 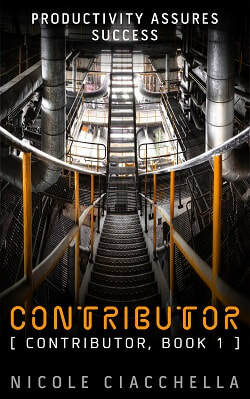 Receive a FREE copy of Contributor as a thank you gift when you sign up for my newsletter. Includes all three books in the Contributor trilogy, and Creators, a prequel novella. Creators: As the world’s food system collapses, 19-year-old Liang Zhang must choose who lives and who dies. 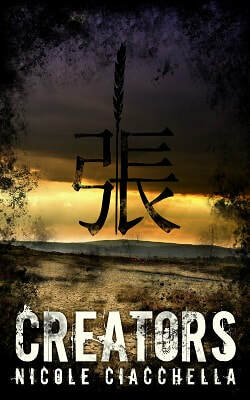 The Contributor Trilogy: When the Great Famine threatened the existence of mankind, the Creators saved humanity. Humanity has been their loyal subject ever since. Contributor, book 1: Dara learns the truth about her seemingly perfect society: once a Contributor has outlived their usefulness, they’re discarded. Infiltrator, book 2: Dara risks her life to uncover the Creators’ secret plans. Instigator, book 3: Dara and her friends are determined to release humanity from the Creators’ oppressive rule once and for all.